THE SIKH NUGGET: The treaties of the British and the Sikhs over the Punjab rivers. The treaties of the British and the Sikhs over the Punjab rivers. A series of treaties between the British and the Sikhs enabled the use of Sutlej and Indus rivers for navigation and commerce. HAVING found a foothold at Port William in Calcutta in 1600, the East India Company was looking for a shorter route to India by the Arabian Sea. 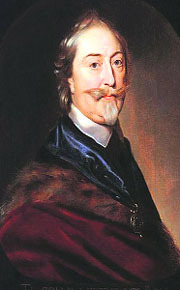 In pursuit of this scheme, Sir Thomas Roe was sent as ambassador of England to the Mughal court of emperor Jehangir on behalf of the East India Company in the beginning of the 17th century. Sir Thomas Roe reported that the best way to enhance the trading possibilities was to use the "commodious" river Indus (Sindh) as a means of water transport from the west. What was daunting at that time was the ignorance about the navigational suitability of river Indus and its connectivity with other major rivers of western India and the Punjab. Sir Thomas Roe, the ambassador of England to the court of Mughal king Jahangir. The East India Company had to wait for over two centuries before an opportunity to fathom these river courses came their way. It was in 1830 that an enthusiastic young officer Captain Alexander Burnes was deputed to navigate the ‘Sindh and Sikh courses’of the rivers. Ostensibly, Burnes was assigned the duty of transporting five dray horses presented by the King of England William IV to Maharaja Ranjit Singh on a flat-bottomed boat, a thousand kilometres upstream at Lahore from Karachi. Under the cover of these ‘Trojan horses,’ he would explore the rivers. But the exploratory voyage of Captain Burnes proved full of vicissitudes. The suspecting Talpur chiefs detained him at the delta at Thatta for three months because they suspected him of carrying arms. At long last, the boat was thoroughly searched and no arms having been found they eventually let him off for his onward journey to Lahore, little knowing that the boat carried ‘surveying instruments’ to measure and plummet the depth of the river at various points. Alexander Burnes, who ferried horses sent by the King of England as a gift for Maharaja Ranjit Singh. Maharaja Ranjit Singh had an obsessive appetite for horses and was overwhelmed to receive the prestigious dray horses sent by King of England which Captain Burnes has so perilously ferried upto Lahore. His meeting with the Sikh emperor paved the way for undertaking a series of treaties which fostered friendship between the British and Sikh empires and finalised the modalities of navigation in Punjab rivers right upto Ropar in the river Sutlej. Captain Burnes’ mission found an avid supporter in Captain C.M. 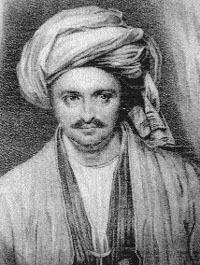 Wade, the British agent at Ludhiana who convinced Lord William Bentinck and Sir Charles Metcalfe to sign a treaty of friendship with Ranjit Singh at Ropar on October 31, 1831. "The merchants coming from Amritsar and other parts on the right bank of the river Sutlej, are to intimate their intentions to the Agent of the Maharajah at Herreeke, or other appointed places, and obtain a passport through him; and merchants coming from Hindoostan or other parts on the left bank of the River Sutlej will intimate their intentions to the Honourable Company’s Agent, and obtain a passport through him. As Foreigners and Hindoostanees and Sirdars of the protected Sikh States and elsewhere are not in the habit of crossing the Sutlej without a passport from the Maharajah’s officers, it is expected that such persons will hereafter also conform to the same rule, and not cross without the usual passports." The customs offices were established under a superintendent and collector of customs at Harike. Another check-post was established at Mithuncote. The merchandise could be loaded and unloaded at Phillaur and Ropar ferries as well. According to the 1832 treaty, all boats, irrespective of their size, were charged the same duty to which objections were raised by the merchants requesting that the duties may be levied on the maundage or measurement of the boats or on the value of the goods carried thereon. Accordingly, by an amended treaty on May 19, 1839, it was agreed to charge different rates for boats of different sizes and on the volume of the merchandise. The main items of export on river Sutlej and Indus were shawls, opium, indigo, almonds, pistachio, raisins, dried fruit, silk, cotton, rice, wheat, maize and barley.This arrangement went on uninterrupted upto death of Maharaja Ranjit Singh in 1839. After his demise, Maharaja Kharak Singh signed another treaty on June 27, 1840, by which grain, wood and limestone were freed from any duty. According to Article 3 of this treaty, duty on a boat not exceeding 250 maunds of freight proceeding from the foot of hills, Ropar or Ludhiana to Mithuncot, the flat charge was levied at Rs. 50. From Ferozepur to Bahawalpur or back it was to be levied at Rs 30 per boat. Every boat had to be registered. These treaties dictated the customs duty between the British, the Lahore Durbar and the Bahawalpur chiefs till the annexation of Punjab after the second Anglo-Sikh war of 1849. After the annexation, these treaties became redundant. The Railways laid down soon afterwards provided a much cheaper mode of transport. Additionally, the canal network soon established depleted the river waters as the construction of headworks and bridges made it impossible for heavily laden boats to pass underneath. This ended the romantic era of river navigation in Punjab.